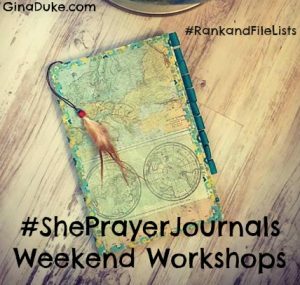 She Prayer Journals Weekend Workshop – Be Quick! 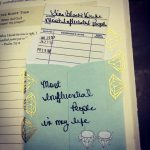 From a place of emotional neediness, I lashed out at my hubby before church the other week. (Who does this???) It was only a half-hearted quip, but I meant it. It was an attempt to get a desired response that would guilt him into meeting my emotional need. But, he didn’t buy it, nor take the bait. Perhaps I had said it with just enough humor that it took the sting out of it. No harm, no foul. Right? Well, not to God, the One who never seems to let me get away with anything. Whew – I feel like He has me on a short leash sometimes! Though I felt correct and justified in my statement to my husband, The Lord disagreed, and convicted my heart as such during the worship service. Once home, I immediately apologized and all was well…between me and my man and with God. Nothing hinders prayer like ill will between spouses. Husbands, in the same way be considerate as you live with your wives, and treat them with respect as the weaker partner and as heirs with you of the gracious gift of life, so that nothing will hinder your prayers. 1 Peter 3:7. Although, this scripture is directed to men, I am well aware of others who direct women to be respectful to their husbands. God is a fan of peace and love, folks! Without them in marriage, prayer can become difficult. So, always be quick…to repent…to forgive…to love!